Michael Serota is meticulous about design, detail and delivering on time. He helped us create a beautiful and highly usable library that will last for many years. His attention to detail is incredible and we would never entrust our furniture needs to anyone else. 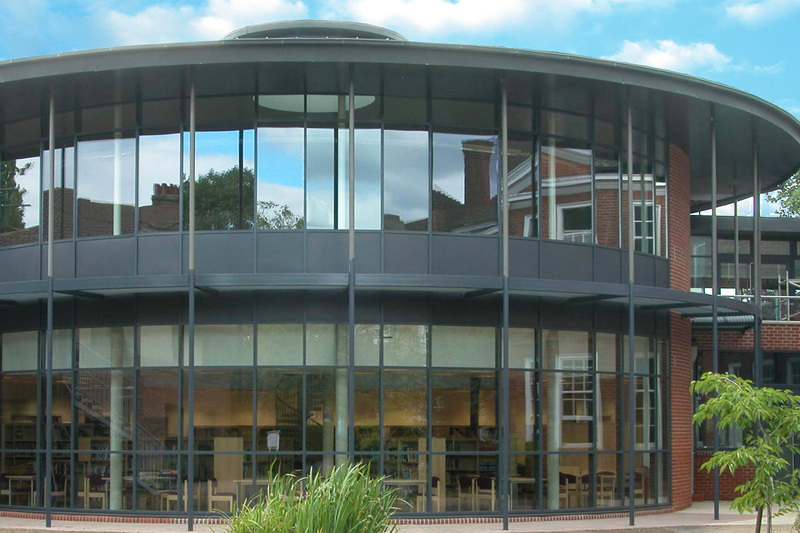 Tiffin School is an academy situated in Kingston-upon-Thames with around 1,000 pupils on the school roll. 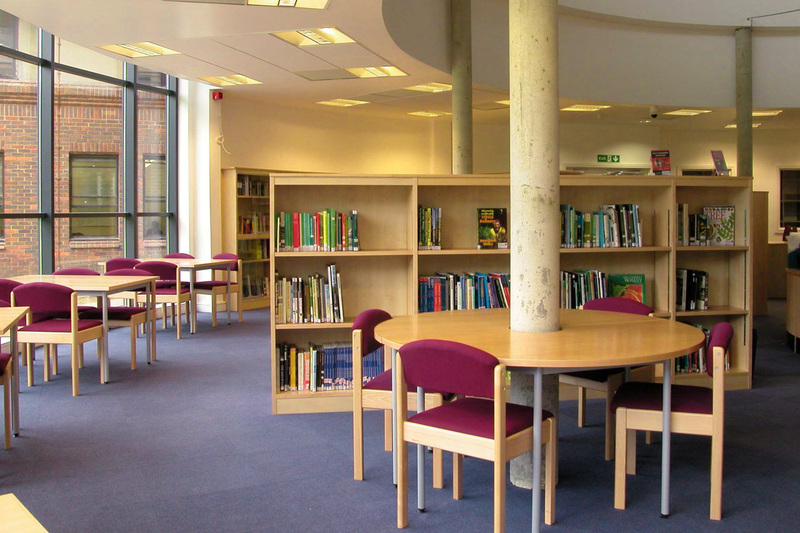 The library is housed in the Dempsey Centre within the school grounds. 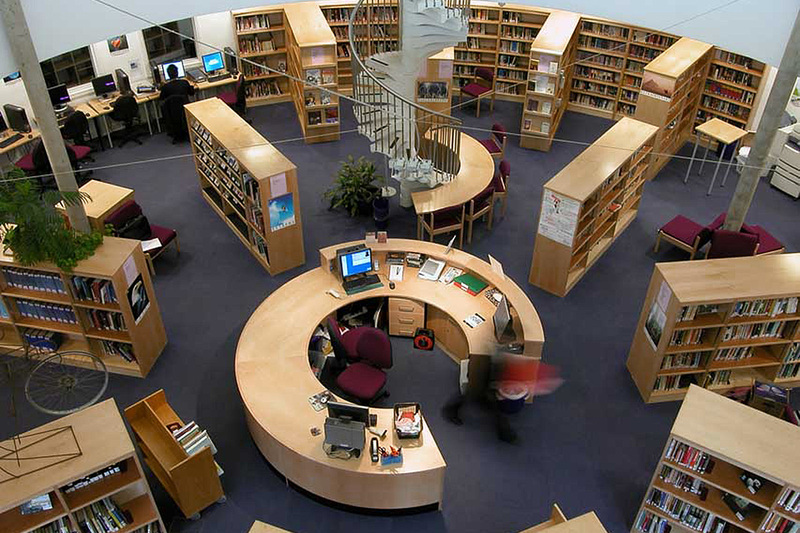 The building is circular in shape and comprises a huge downstairs library with a fully computerised classroom on the floor above. Tiffin School planned a new Learning Resource Centre which would be built from scratch. Because of its circular shape, the building needed bespoke, custom-made furniture to suit the curves. Serota produced a proposal for the design of the library and along with input from Lyn Foden, the librarian, the architects drew up the plans. Serota built and delivered shelving, tables, main library console, tables for the lecture theatre, media racks, plan chests and periodical sections exactly to schedule. Additional facilities were also incorporated for the disabled. Lyn Foden stated "The furniture Serota produced looks fabulous. We can't recommend Serota highly enough". The Learning Resource Centre houses 16,000 items including DVDs and other types of reusable media. 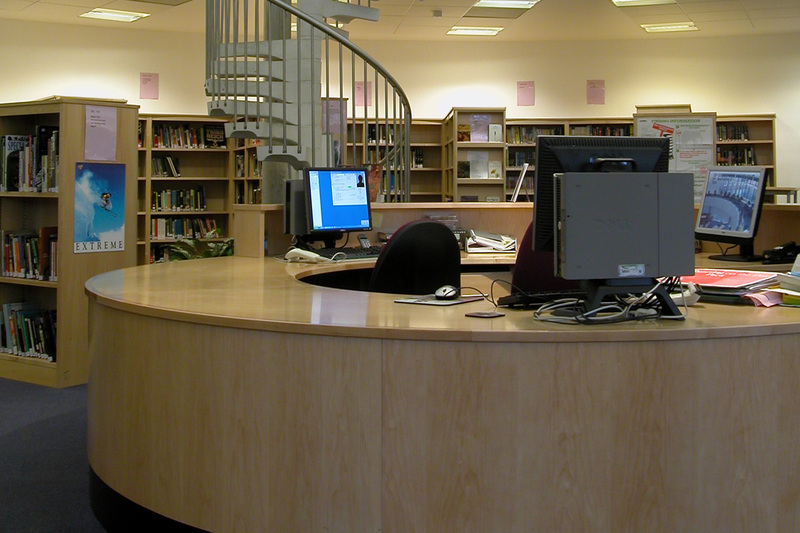 The library is well-used and welcomes around 3,000 users every week. The school became an academy in 2011.